The cleanliness of your commercial building plays a huge role in the impression you make on your customers. That’s why you need quality cleaning, janitorial, and maintenance services so that you always look your best. For the best level of service in Southern Oregon, you need Vista Building Services on your side. No matter the size of your business, you deserve a top-quality cleaning service that’s affordable. Vista Building Services provides customizable cleaning services that meet your commercial building’s unique needs. Select the program that best suits the services you need, then set whether you want a daily, weekly, or monthly plan. We’ll find a price that’s right for you and take care of the rest. We pride ourselves on the quality of our services, and our training program and hiring standards prove it. Not only do we make sure that our employees understand all the aspects of their jobs, from proper chemical use to cross contamination to safety issues, we also conduct thorough background checks to bring in the most trustworthy workers. When our employees have the necessary skill sets, training, and pride in their work, your building is in good hands. We do everything to help our employees feel comfortable and ready for their jobs, meaning that they can come and perform the most up-to-date and effective cleaning techniques for you. Your building’s cleanliness is important to you – and it’s important to us, too. We don’t just stop at initial training. We keep constant tabs on our work and conduct onsite inspections to make sure we always meet our internal cleaning standards. 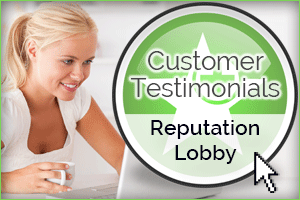 We also constantly keep in touch with our customers with regular check-ins and customer surveys. If any part of our service dissatisfies you, we won’t rest until we correct the problem. We constantly update our services, not just with new innovations in cleaning technology, but also with customer feedback to ensure you receive the level of service you deserve. When you need quality cleaning, janitorial, and maintenance services, you can count on Vista Building Services to go the extra mile. Call us to learn more. You’ll see the Vista difference.